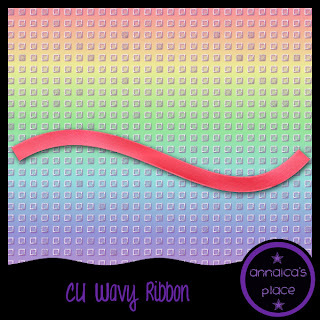 I wanted to show you how to make a ribbon in Gimp 2.8. 1. Open a new image, size 900x900. 2. Add a new transparent layer. Using the paths tool, draw a line from left to right as shown. Next, click in the middle of the path and drag it down a bit as shown. Then just 100 pixels into the path on the left, drag that up. And 100 pixels to the right, drag down as shown. 3. In the layers box, choose the PATHS box. The path is shown, R click on the path in the box and choose STROKE PATH. Place settings as shown. 4. Delete the path by R clicking and choosing DELETE PATH. 5. Click on the LAYERS box. Name the new layer "Ribbon" then r click and ALPHA TO SELECTION on the Ribbon layer. Add a new transparent layer. 6. Click on POOL BOTTOM Pattern and click and drag into the selection. Name this selection "Texture." Your canvas should look like the pic below. Go to COLORS>DESATURATE with luminosity selected, hit OK. In the MODE box at top of layers box, choose HARD LIGHT. Then R click and choose MERGE DOWN. 7. Add another transparent layer and name it COLOR. Choose a foreground and background color within the same scheme. I am using colors- ec364c and fe7c91. Click on the BLEND TOOL and the setting should be as shown. Click within the Ribbon selection and drag upwards about 100 pixels and let go. 8. Move the Color layer below the Ribbon layer in the layers box. On the ribbon layer, go to Mode and choose SCREEN. Then move the opacity slider to 28. R click and MERGE DOWN. Your canvas should appear as shown. 9. Add another transparent layer. With this layer, we're adding a bit more dimension to the ribbon. Choose a blend called Flare Rays Size 1 and change Offset to 0, then click and drag from lower left corner of canvas to the top right of canvas. Go to Mode and choose OVERLAY then R click and MERGE DOWN. 10. Duplicate the layer. COLOR>DESATURATE just to differentiate this layer for the next couple steps, then drag it up just so a little of the bottom of the ribbon is showing. R click on this copy layer, ALPHA TO SELECTION. Then to SELECT>INVERT. 11. Add a new layer, name it Brush. Click on brush in tool box and use settings as shown. 12. R click on the Color Ribbon layer, ALPHA TO SELECTION, up to SELECT>INVERT, click on the Brush layer once in layers box to activate then hit the DELETE key on keyboard. You can change the paths up, the textures, the colors to get a ribbon specific to your project! Here's a CU FREEBIE using the tutorial above. Do not share. Direct others here to my blog to download themselves. Click preview to get your copy and don't forget to leave some love!